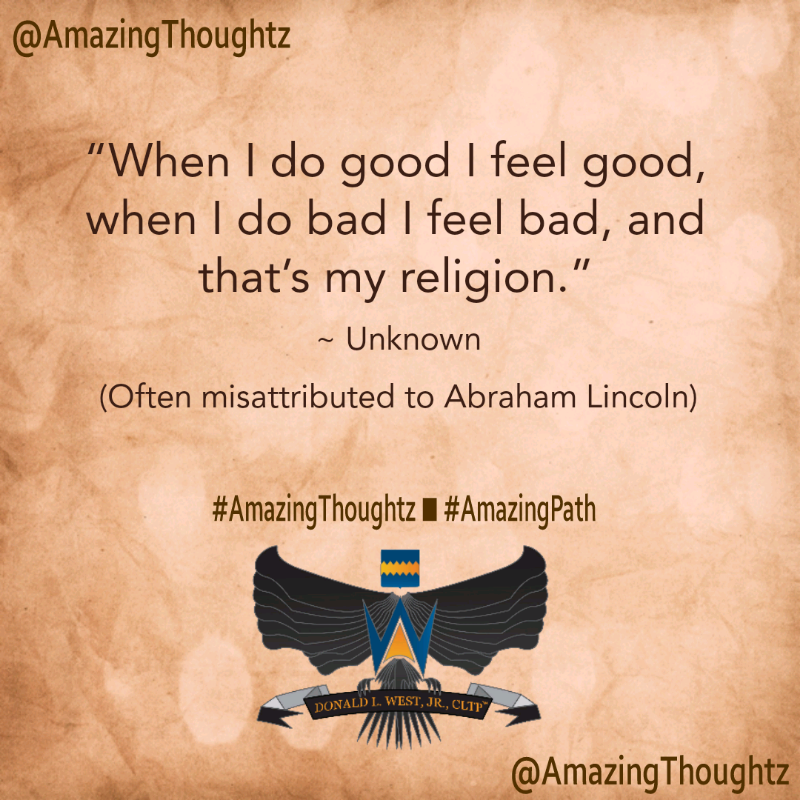 ** Note – This quote was discovered on the Instagram page of @talia.witkowski attributed to Abraham Lincoln. We always seek to double check the source of the quotes we post. Our search found that it is likely President Lincoln did not originate this phrase. In the book “Herndon’s Lincoln: The True Story of a Great Life, volume III, chapter XIV” written by Lincoln’s friend and law partner William H. Herndon, Herndon recounts Lincoln attributing this quote to an old man named Glenn in Indiana. As such, we attributed the quote to Unknown because there are lots of Glenns in Indiana. Thanks, @talia.witkowski for turning us onto to such an Amazing Thought.